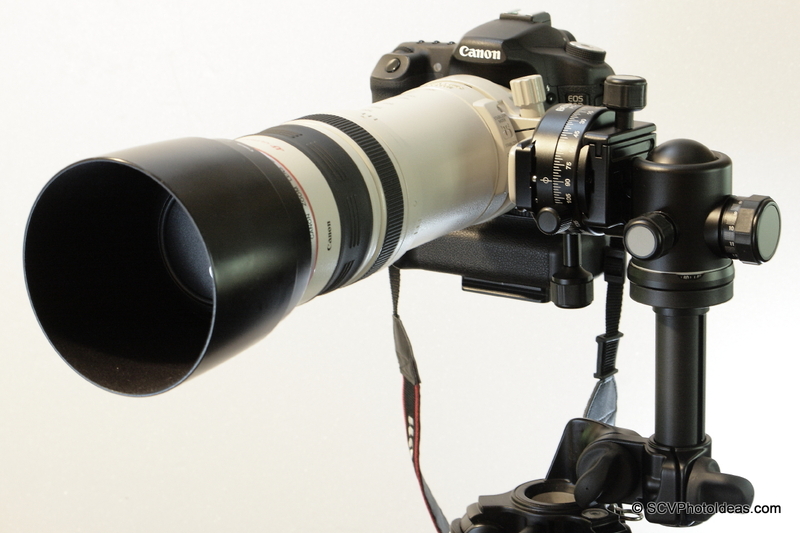 Anyone in possession of a long telephoto lens is aware that is heavy to hold and manipulate. 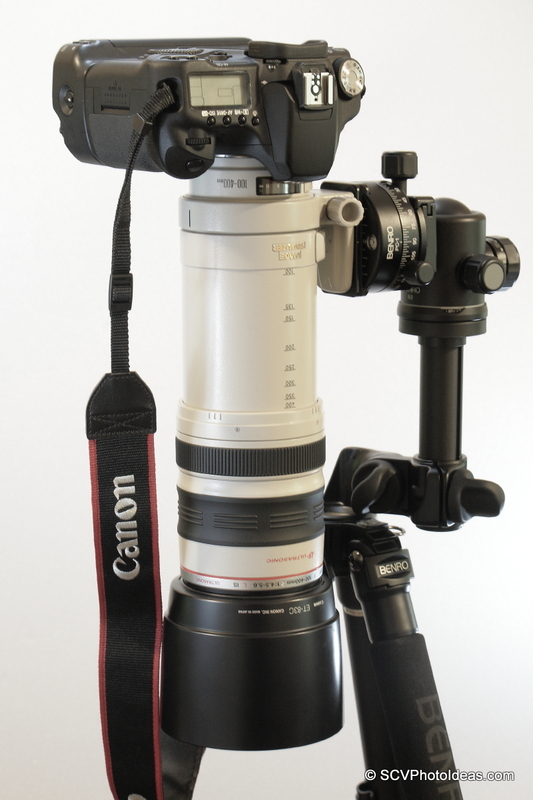 The perfect solution for balancing a heavy lens and camera combination for free and smooth movement is a Gimbal head. But when we come to Gimbal heads several hundred €€€ or $$$ figures come immediately in mind. 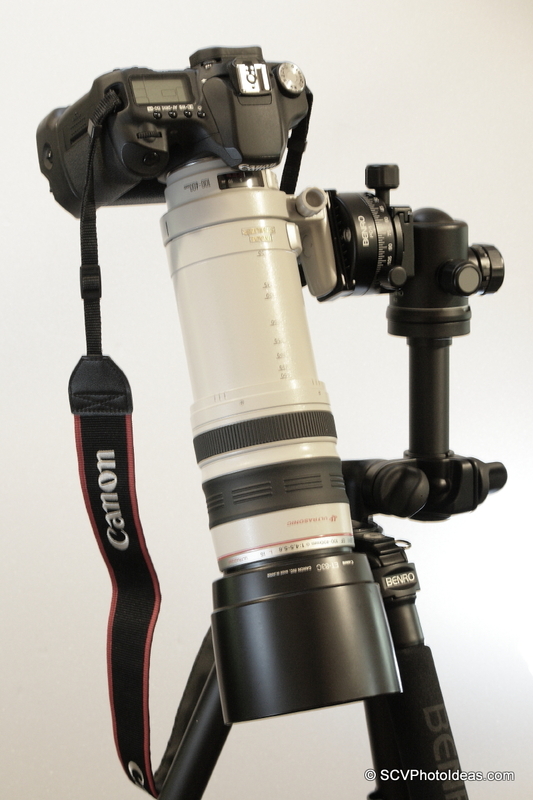 If you happen to have a Versatile tripod here is a cost effective alternatve solution that I have tested. 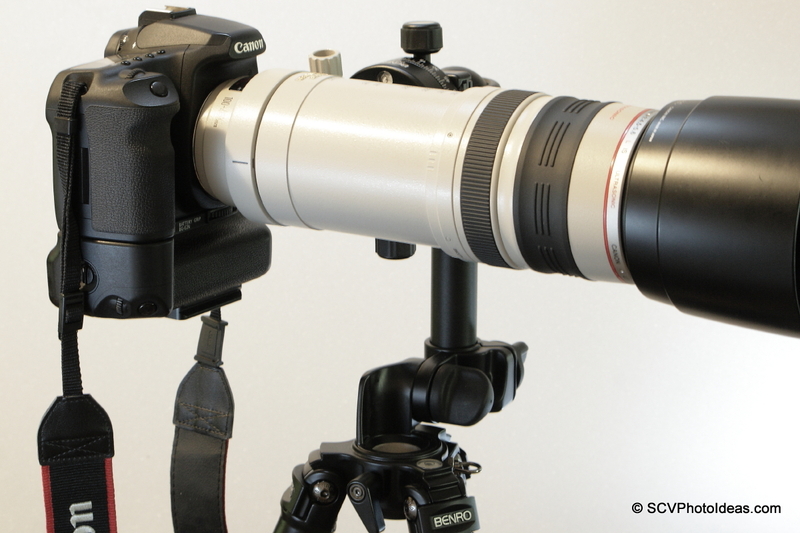 Which is fully functional, very stable and sturdy with minimal to no vibration even for heavy lenses. As an extra bonus... it weighs less than 0,5 kg (1.1 lbs) to carry around. 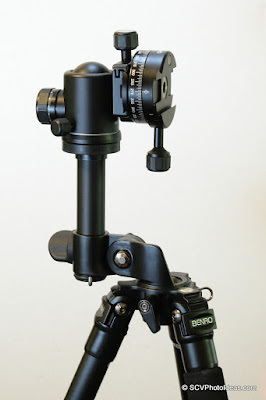 The idea was inspired by the Benro A-298 EX Versatile Tripod's articulated center column and was realized with other Benro gear as the AC-33 Short Center Column, B2 Ball Head, and PC-1 Panorama Clamp. 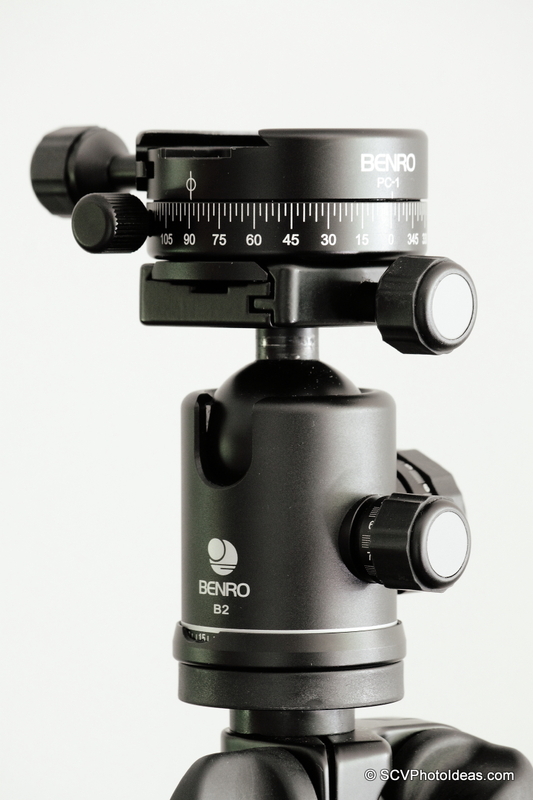 The Benro PC-1 Panorama clamp attached on Benro B-2 Ball head via its dovetail base plate. 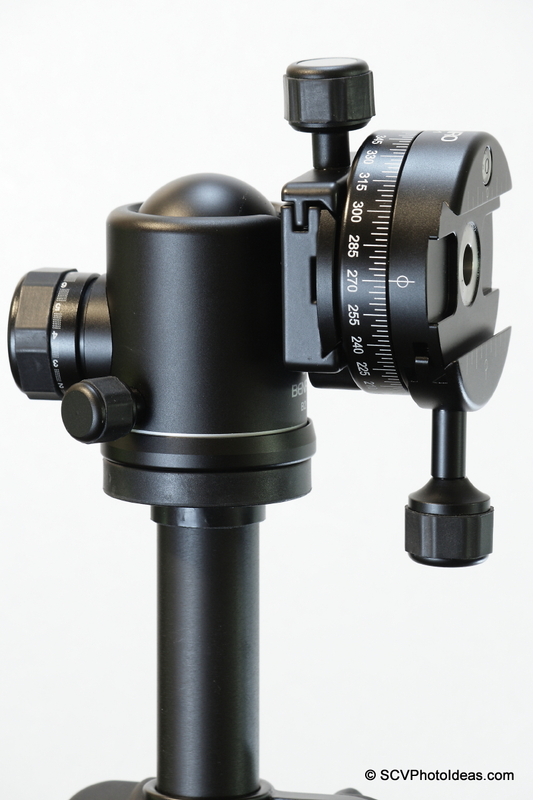 The ball head is mounted on the AC-33 short center column and after its alignment with the center hub pivoting axis the Panning base is locked and the ball head clamp with PC-1 tilted to the portrait position and locked. in position by the Friction and Main Lock knobs. 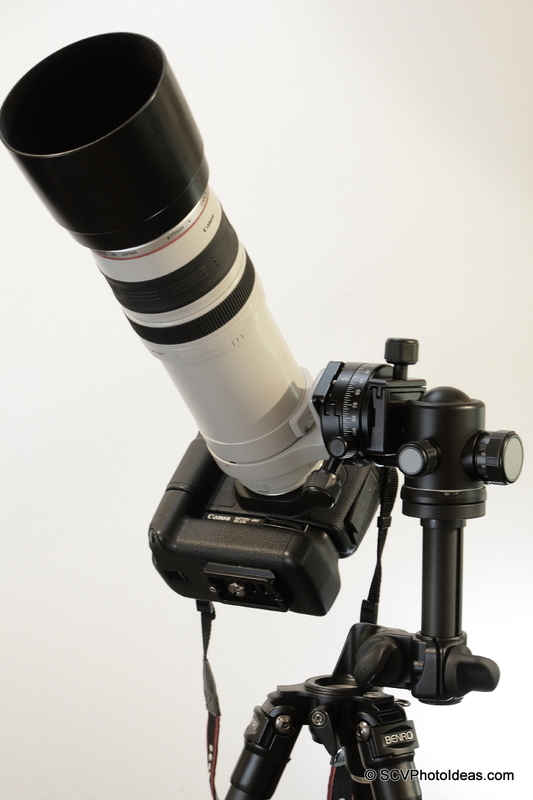 The vertical panning will be controlled by the panorama clamp. That is the idea of utilizing a short center column. The versatile tripod stem is tilted outwards by 180 degrees to a vertical position and then the short center column with the ball head and panorama clamp is inserted. Panning is controlled by the Versatile tripod head which is very smooth and fluid and can be adjusted or locked by its separate control lever. 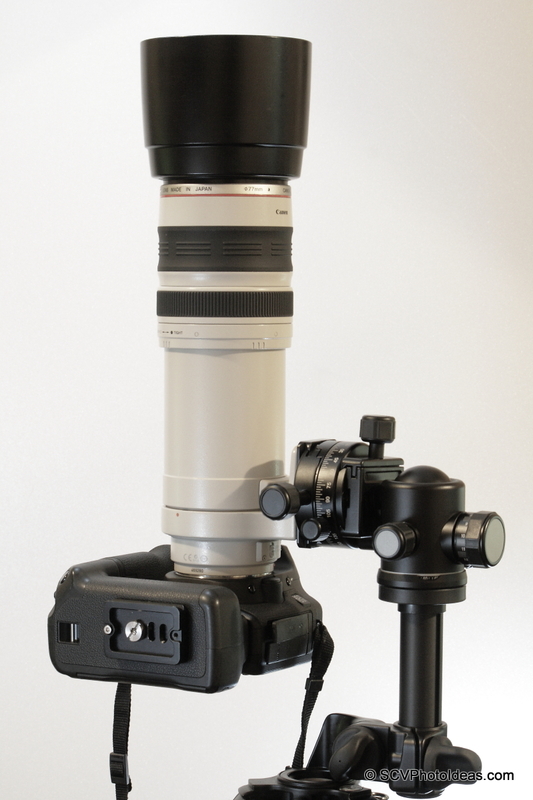 A long zoom lens attached to the panorama clamp via an extra Arca compatible plate attached on the lens collar foot. Full clearance for a vertical shot. Then you can shoot straight down which is impossible with a normal gimbal head. Of course that is useful only if your lens permits to focus so close. This idea can be realized with any versatile tripod, any Arca-Swiss® compatible ball head, a short center column and a panorama clamp. 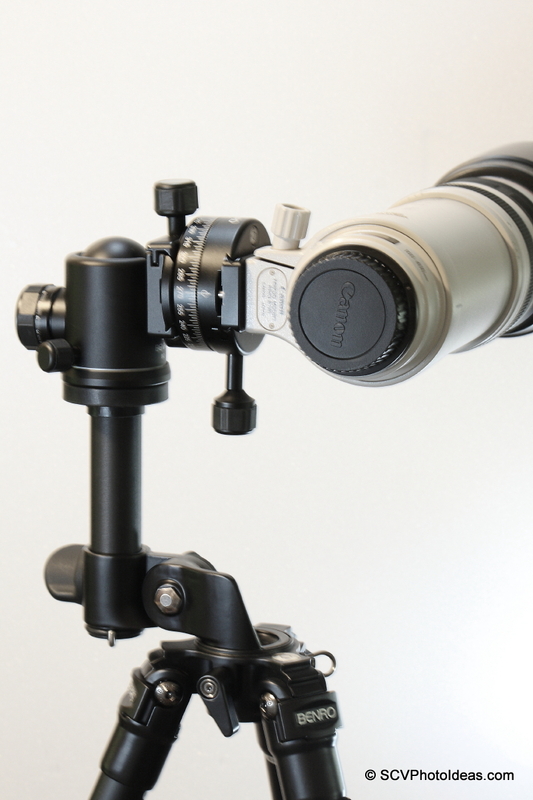 Consider a total cost for short center column + a panorama clamp less than 150 USD shipped !! !